As we live through this moment of anticipating a glorious technological future, the promise of the Asian Century and the catastrophe of climate change, we are increasingly reliant on our screens to inform, connect and disconnect us from our world. 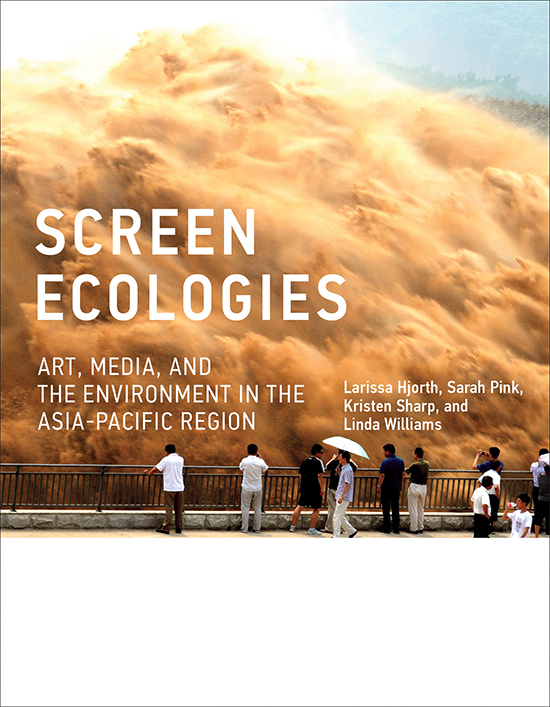 In a new book, Screen Ecologies: Art, Media, and the Environment in the Asia-Pacific Region, authors Larissa Hjorth, Sarah Pink, Kristen Sharp and Linda Williams examine these overlapping paradoxes: of art, media and global warming as screened in the Asia Pacific region. Explained in as few words as possible, this book explores how information and technologies both engage us with and disengage us from the environments we inhabit. But at ground level, a tremendous deal more is going on. 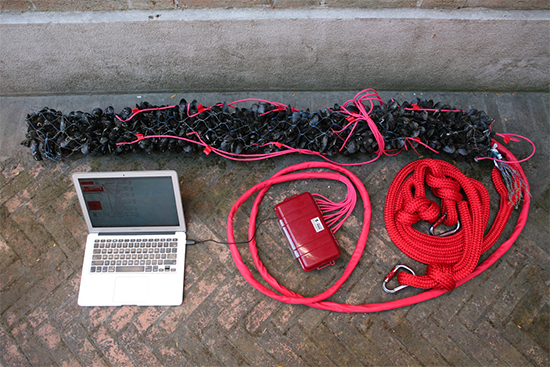 The entanglements of creativity, ecology, geography and technology are investigated through sociological, media-archeological and remediation approaches. The methodological skeleton key unlocking these varied research trajectories is the interdisciplinary approach that forms productive connections across the diverse fields of study. It is at times an intricate maze of ideas and a challenging thread to follow, but the scope and urgency of this book makes it well worth the read. In the opening chapters, art, media and climate change are grouped as an interconnected ecosystem, a complex circular network in which all three are produced, experienced and discarded. This media-arts ecology is then situated within the Asia-Pacific Region, home to the vast bulk of device factories, technology consumers and e-refuse destinations. Further tightening the Asia-Pacific focus is the UN’s 2013 report suggesting that the coastal megacities of Asia—Manila, Hong Kong, Tokyo—will be hardest hit by the worst effects of global warming. The problems are proximate and the stakes are high. Asia’s increasing vulnerability to natural disaster and the way information about it is mediated is taken up in the fourth chapter. Explored here is how mobile screens and camera technologies can instantly transmit disasters such as Japan’s Tohoku earthquake and the Philippines’ typhoon Haiyan, but also how our consumption of these devices makes us complicit in the gradual but larger catastrophe of climate change. Just as the sublime devastation of disaster footage makes for compelling screen viewing, likewise the mass dumping of rapidly obsolete screen technologies makes for tremendous environmental disasters. It’s a close symbiotic relationship. Moving beyond the apocalyptic, the discussion enters the calmer waters of contemporary arts as a ‘platform’ to productively engage with climate change. Here, the authors trace the rise of trans-regional art spaces such as biennials, triennials, community arts projects and micro-sites as locations for exploring ecological concerns. This examination includes an essential critique of the arts, both as a means for disseminating and investigating cultural zeitgeists, as well as an industry through which Capitalism reproduces itself in new and creative guises, often at the same time. In the book’s central chapters, eco-critical arts practices from across the Asia Pacific are introduced with vital analysis of the strengths and limitations of both art and social media as effective means for rethinking climate change. In an exceptionally useful conclusion, the authors look beyond present models of engagement and collaborative art projects to offer new possibilities for participation in which media technologies might be usefully mobilised: new ways of connecting with each other and our natural surroundings to which our screen technologies somehow make us blind. This book is unmistakably an academic text, and as such it often favours factual rigour over arresting prose. It can, at times, be clinically scholarly in its delivery. What breathes precious life into the study is the extensive discussion and analysis of the works of art that populate the volume, works that through a different vernacular, illustrate the pressing concerns taken up by the authors. Noteworthy is Chinese Photographer Yao Lu, whose composite images masquerade as beautiful instances of traditional Shan Shui landscape painting, replete with calligraphy and signature stamps. 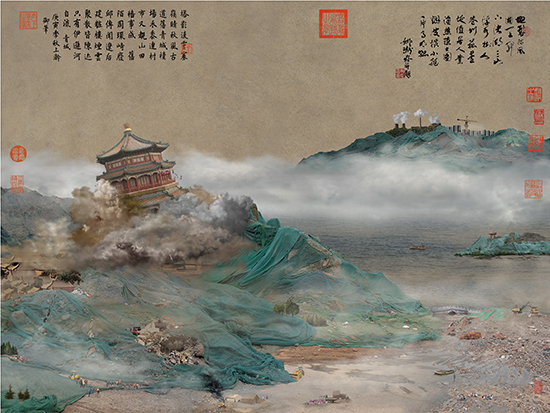 Yet on closer examination, the scenery reveals layers of industrial pollution and construction refuse, offering a critical assessment of China’s exploding metropolitan growth. 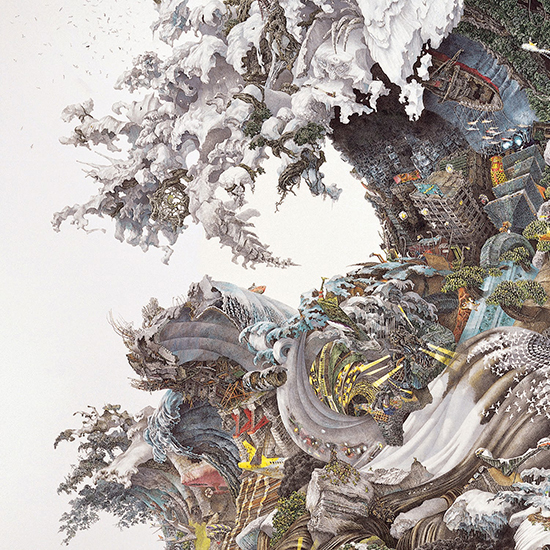 Parallel concerns, but in a Japanese context, are expressed in the work of artist Ikeda Manabu whose hyper-dense ink illustrations envisage the lush intricacy of the city jungle, evoking the brutal yet beautiful insect-like industry of human urban construction. From an Australian perspective, Adelaide sound investigator Jason Sweeney draws attention to audio pollution, offering a radical approach to the noise of the city by inviting participants to record its silences via mobile, thereby acting as “earwitnesses” to the nuanced urban soundscape. A comparable potency of amplifying silence is shown in the work of Natalie Jeremijenko who equips water-cleaning mussels with sensors, so that the opening and closing of their shells lends each creature a voice. The work enables audiences to observe and celebrate the tremendous environmental services these molluscs provide. The spectrum of problems this book unearths and the creative tactics used to address them is perhaps best manifested in the work of photographer/activist Ravi Agarwal whose practice exceeds traditional boundaries of art to remind us that environmental policy, grassroots activism and the preservation of the planet are not simply social, environmental and political activities, but are also deeply creative and aesthetic endeavours. Yet for all the ground this book covers, there is much it does not. Subjects from the Pacific trash vortex to the toxicity in e-waste city Guiyu receive little to no treatment, while numerous potentially worthy artists are not included. Given this area of investigation is so immense, evolving and urgent, it’s curious not to find more examination of these interwoven topics in other publications and media. Inspired by the book’s thrust, I was left wondering how its content could be expanded and its messages made more explicit. Could the relationship between creativity, technology and sustainability and the quickening cycles of consumption they produce somehow be explained through more popular means? Would people re-engage with these burning issues if they transcended academic pages and gallery spaces to be made into mobile apps, web documentaries or games? But again in trying to screen the problem, it reproduces itself. Larissa Hjorth and Sarah Pink are Professors in the RMIT School of Media and Communication; Kristen Sharp is Senior Lecturer and Linda Williams Associate Professor in the RMIT School of Art.